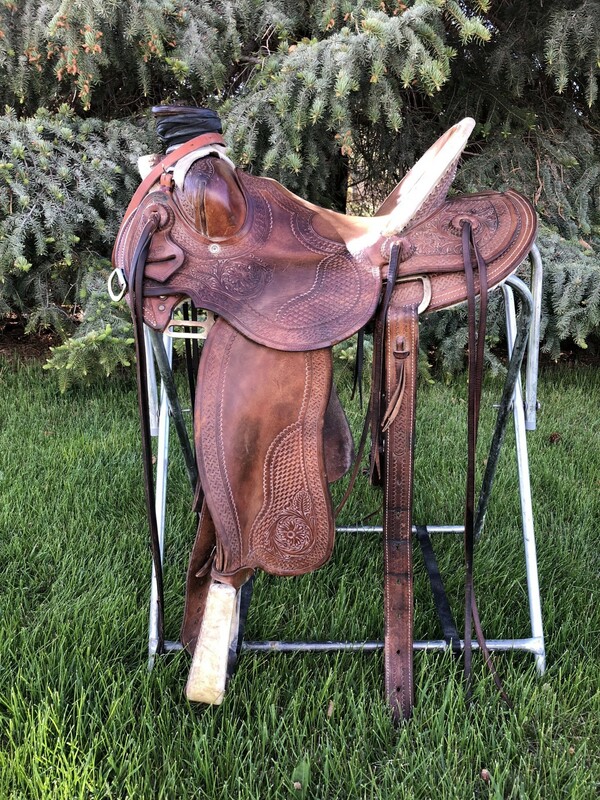 Custom made modified association saddle from Allison saddlery in Roundup MT. Built in 2008 and has been my only saddle during that time. Smaller seat at 14.5” with full QH bars. Has FIT on everything I have ever put it from from colts to big horses. Made with a carbon fiber tree so it is really light making it a great saddle for a youth or a lady. I love how light this saddle is. 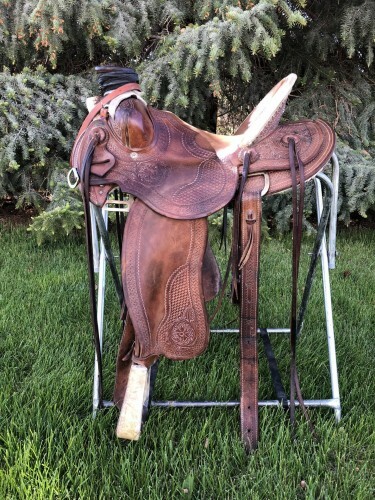 Has a really nice deep wade type seat with a high Cheyenne roll cantle. This saddle is the real deal combining the good of a swell type association with the comfy deep wade seat. Located in Dillon MT. Will ship at buyers expense. Please call and if no response please leave a message!